Nowadays, this Island has become one of the most prestige Island in the world because of the International Maritime and Aerospace Expedition that will be take place once on every two years. The next event will be on the year 2017. It will be also involve to publish the product inside Mahsuri International Exhibition Centre (MIEC). Usually the exhibition will be held on March that located at the Langkawi Air-port located at the South West. The exhibition kick-off with a very exciting display of air stunt by the Malaysian Royal Air Force. The most famous about Langkawi legends is the Curse by Mahsuri. She was a beautiful maiden of Muslim came from Siamese descent. As with the envy in some, there will always be jealousy among the other villagers. Mahsuri's mother-in-law was insanely jealous of her beauty and popularity. She took the opportunity one day to get rid of Mahsuri out as she accused her of cheating the marrige during the absence of her husband who had gone off for war. Adultery by local law was a very heavy sin punishable by death. Mahsuri death was executed in public area. As she pleaded for her innocence, the executioner plunged a dagger into her pubic area. To his extra ordinary innocent, Mahsuri's blood trickled white which show that she was innocent. Soon after the Mahsuri's death, the Siamese army made an attack on the island to get revenge. So desperate for Mahsuri murdered, the local chief ordered his man to burn down all the storage of rice from falling into Siamese hands. 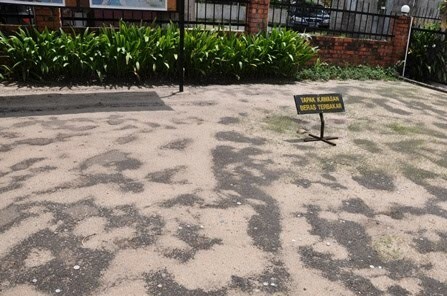 The scene site of the burn rice can still be seen at the area known as the Field of Burnt Rice. It is more visible to the naked eyes especially after a heavy downfall that washes out the odd and dirt that cover the grain. The curse is believed to have been affected on the island's lack of development which lasted until the birth of Aishah Nawawi in 1980, the Mahsuri eigth generation direct descendant. 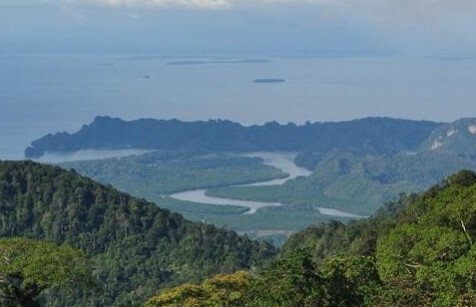 The area is located about one kilometre to the North from Langkawi Air-port. It is in Kampung Raja Mukim and the area is surrounded by fencing to preserve the remaining area. Contact Number : +60 4 9667789. Oriental village and cable car (10 min). This waterfall is named after the seven natural wells along its path. Legend has it that fairies have come down from heaven to the pools to take their bathe at the wells. There are 2 areas for Telaga Tujuh location. The first area is at the base of the waterfall and the second area is at the top where the 7 wells taking place. You can enjoying taking bathe in the pools and even sliding down the slick rock between the wells. To get to the wells, you have to climb up for more than 350 steps which can get quite slippery when raining. It is safe to swim in the pools when the river water current is not very strong. You can find also a jungle trekking package available at the area which will bring you through a trail of up to 2,500 m, crossing two different mountains. This trail is quite an easy trail and you can wear a slippers, but it is best recommended to wear comfortable sport shoes or boots as some segments of the trail are nearly vertical. This package is not suitable and recommended for family trips. Raya Mountain is the habitat of the white-bellied sea eagle. You can see the eagle circling around at the top of the mountain. The horn bills are also make their home in the forest area around Raya Mountain. When the road was built, much of the flora and fauna was disturbed. This kind of activities effect the eco-system and reducing their feeding area. Perhaps due to this, it is so much easier to spot them now as they have to fly in a further area to search for food. You can easily access the area by driving a car. Visitors that driving up to the mountain will have to pay for 50 cent per car. It is collected at a plaza toll located at the base of the mountain. A cable car moves to the top of the hill give the visitors with a great view of Pantai Cenang. About MYR30 will be charge for tourists (non-Malaysian). But during peak times, you may have to queue up for almost 2 hours sometimes. The Sky Bridge is located at the top of the station which built through a small forest trail. The visitors have to pay the additional fee for MYR5 to get into the Sky Bridge. 9:30am - 8:30pm on weekends. Ticket : MYR38 for adults and MYR28 for children. 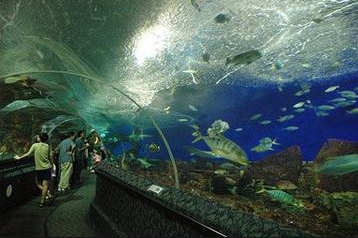 An indoor aquarium is located nearby the Langkawi Air-port at the South West. Try to catch the feeding times (see website for details). Ibrahim Hussein Foundation Museum, (Teluk Datai). ​Contact Number : +60 4 959 4669. Selling Items : Abstract paintings RM12. Contact Number : +60 4 959 1498. Open : 10am to 5pm, closed Mondays. Contact Number : +60 4 9592559. Show Time: Daily at 11.15am & 2:45PM (hourly feedings). Ticket : Adult Myr15, children MYR10 (below 12 yrs). Over 1,000 crocodiles and alligators are being displayed in the park. Visitors can enjoy watching a man fighting the crocodile. You will be exciting to take a ride in a rickshaw drawn by a crocodile, it’s very rare. This attraction will not be enjoyed by some visitors. Sometimes, the crocodiles need to get rest or it will be deformed. This resort located at the North side of this island. A lot of activities provided at this area such as swimming, jet ski, pool activities. The resort also have very attractive facilities in the area such as it have its own private beach, adult only swimming pool, four season market, family pool and fish farm. This resort is located nearby Gunung Raya (Raya Mountain). 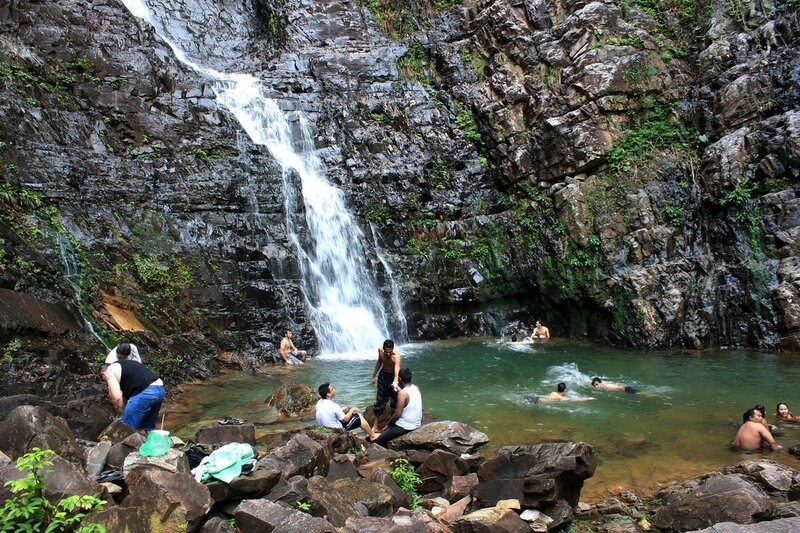 It is inside the Gunung Raya National Park area. For those who like to explore nature, this resort is the best choice for you.